At 2 Dogs we use premium ingredients to create sauces that have a great heat, but we don’t sacrifice any flavor. Why make a sauce that doesn’t taste good just for the sake of being hot? Our sauce goes well with any meat or vegetable and is also great in soups, and really anything else you can think about eating. We think the black garlic sauce is perfect for those lamb chops and other meats but is so versatile that its good on pretty much anything but cereal. We have never tried it on cereal but can only assume. The cherry would compliment a chicken dish or would be perfect on some wings. We think you will agree that all of our sauce just makes average food become awesome food. 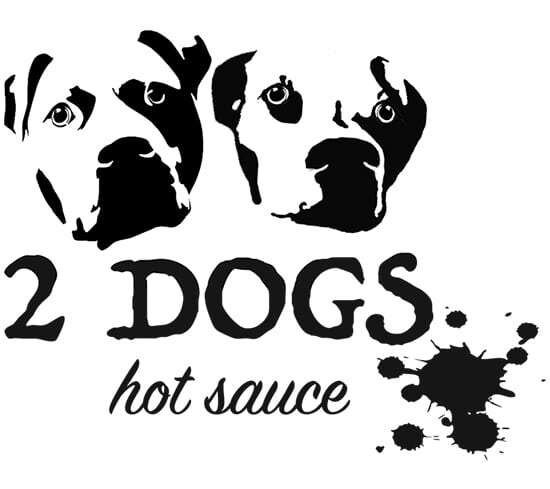 2 Dogs is gluten free, vegan friendly, and was created in Ferndale Michigan and is bottled in Warren Michigan. Next time you want a great tasting hot sauce try grabbing the sauce with the two dogs on the label.